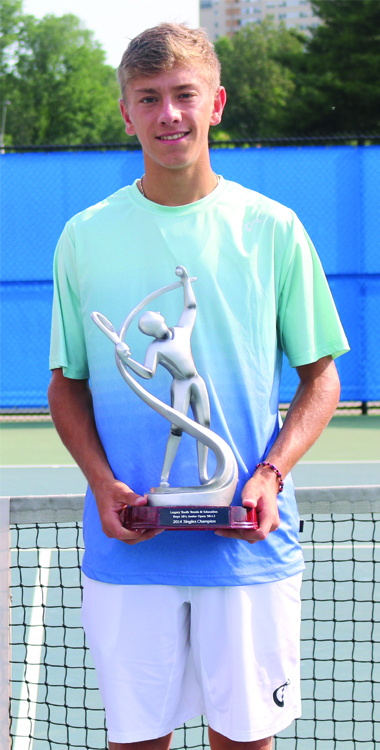 Over the years, David Wilczynski has earned plenty of bragging rights on the tennis court. As a junior player, he was a blue chip recruit and a Middle States Section Champion. He represented the Section at national events and was a Middle States award recipient. Last year, as a senior at Council Rock North High School, Wilczynski went 21-0. When talking to Wilczynski, though, one thing is clear: To him, the past doesn’t matter. Now a freshman at Stanford University, Wilczynski is focused solely on what’s ahead. Years ago, Wilczynski’s grandfather got the family involved in tennis by building a court for the family — particularly David’s mother — to play on. Eventually, tennis became a family sport. David first picked up a racquet at the age of 5, and played in his first tournament at 8. After that first taste of competition, he knew tennis was the sport for him. Wilczynski’s game developed rapidly as he grew. He played as much tennis as he could, competing in sectional tournaments and improving each step of the way. He said he realized he could become a college player when, as a teenager, he made the jump from sectional to national tournaments and found himself competing with some of the top juniors across the country. Ever since then, he never lost sight of his goal: a college scholarship. Over the last few years, college coaches began noticing Wilczynski as a high-level prospect as he continued to impress at just about every showing. Training at Legacy Youth Tennis & Education in Philadelphia, he and his family began targeting potential schools to play tennis. But until he received the phone call with an official offer, nothing was secure. Then, just last year, Stanford’s head coach called. Stanford plays in the always-competitive PAC-12 Conference, which includes teams like UCLA, Arizona and USC. 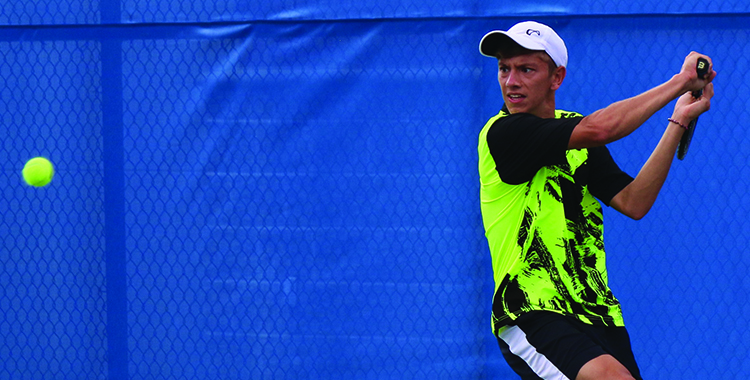 The men’s season features tournaments and invitationals throughout the fall, with head-to-head matches taking place in the winter and spring. Wilczynski said he knows it’ll be an adjustment in lifestyle and competition, but he’s ready for the challenge.